← We Want Your Input! Last week I was having a conversation with a lady at work about cakes and she told me about one I had never heard of, so of course I had to research. The cake she mentioned was a plum buckle cake. 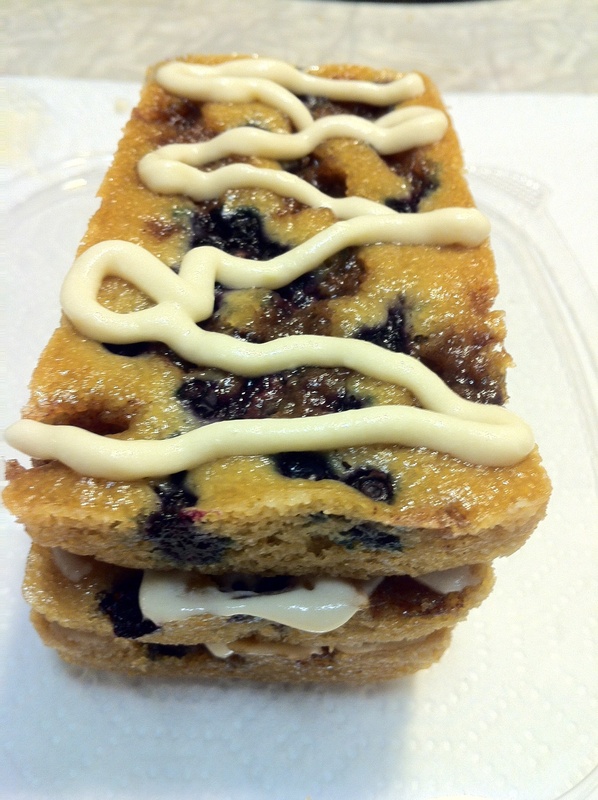 Through my studies I learned that traditionally the buckle cake is made from blueberries. It gets it name because you drop the fruit into the batter and as it bakes the cake buckles around the fruit. I decided to switch it up a little for the bake sale at Sidecar For Pigs Peace in honor of the Worldwide Vegan Bake Sale. I was making individual layered cakes, so I decided to add frosting to the cakes. Also in a few of the recipes I read they added a crumbly topping to the top. I was thinking it would be like the top of a crisp but it melted into the batter. When I make the plumb buckle cake today I am going to play around with that a little more and get back to you. As is, it tasted delicious, just not what I was going for. *You could easily make this into a single layer cake by separating the batter into two 9″ pans. *One of the cakes broke while being removed from the pan so I had to eat it. This cake is excellent without the added frosting. If you opt to go without frosting I would recommend serving it as a single layered cake. In a large bowl mix flour, salt baking soda & powder, and egg replacer. In a separate bowl mix sugar, almond milk, oil, applesauce and lemon juice, and lemon zest. Slowly mix sugar mixture into flour mixture and stir until well blended. Pour batter evenly into the three pans. Tap bottom of pans to get air bubbles to the top. Drop 1/3 blueberries over the top of each one. You don’t want the blueberries to cover the entire cake. Mix together in a separate bowl the ingredients for the brown sugar crumble top using a fork so it becomes crumbly. 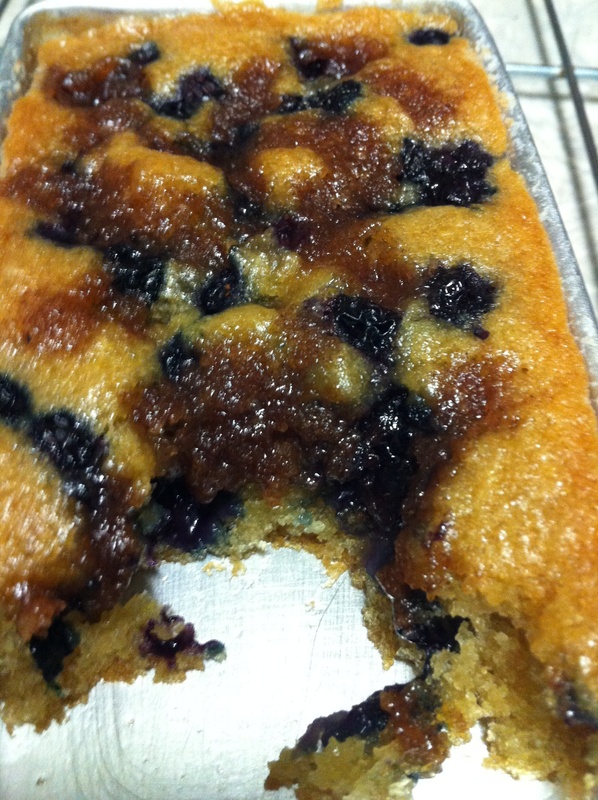 Sprinkle the brown sugar mixture over the cake in spots that are bare of blueberries. Bake for 20 – 25 minutes. Cake will pull away from side when done. When done let sit for approximately 5 minutes or until cool enough to touch pans with bare hands. Flip onto cooling rack. Carefully, Flip back over so blueberries are on top. Cool completely before assembling. Put the first layer on serving plate. Cover with one-third icing. Repeat. You may completely cover top layer or do it decoratively. I don’t see any cashew cream listed in the ingredient list but you mention adding it in the directions? I’m confused? ?